Give your bedroom a coastal update with the Fog & Seagrass Writing Desk. 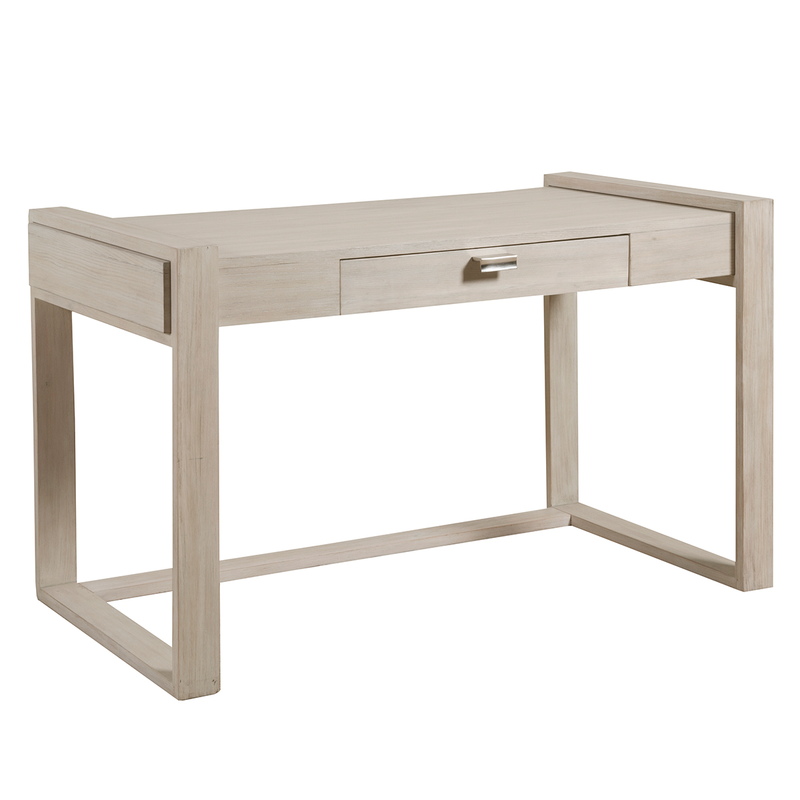 Crafted with a casual contemporary design featuring clean lines and a sleek profile with smooth polished nickel plated hardware, this writing desk makes a beautiful accent. 50"W x 26"D x 30"H; 56.4 lbs.